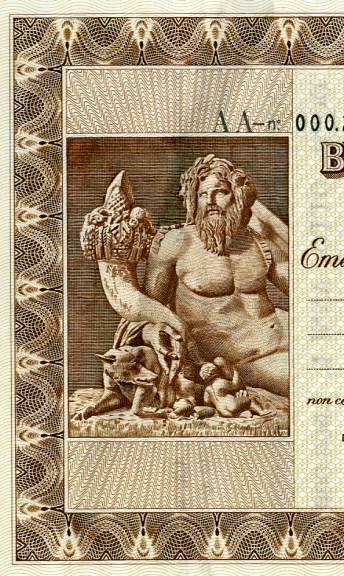 Beautifully engraved unissued Postal Money Order from the Republic of Italy printed in 1926. This historic document was printed by the Office of Carte Valori - Roma and has an ornate border around it with a vignette of a god next to dog and a cherub. There is also an elaborate water mark in the paper to prevent counterfeits. This item has the printed signatures of the IL Direttore General Delleposte E. Delle Telecomunicazioni and the IL Direttore General Della Cassa Depositi E. Prestiti Dello Stato.